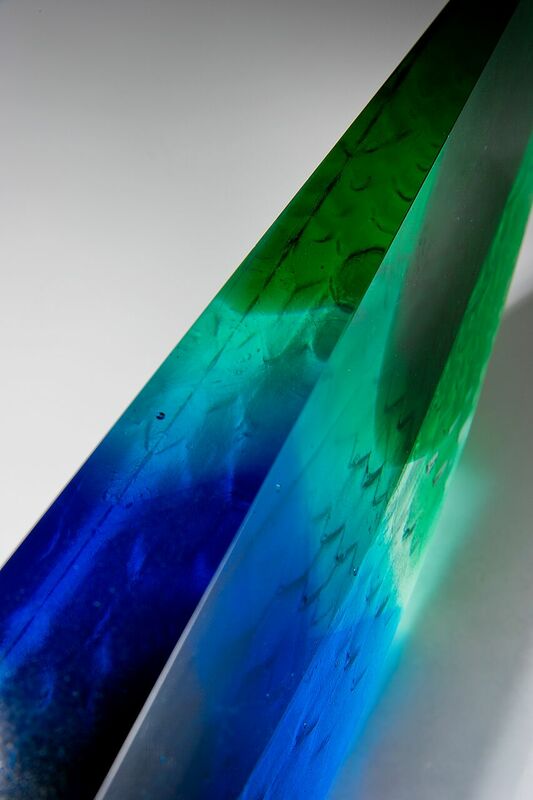 Each of the sculptural forms show movement and changes in colour, whilst reflecting light and pattern. 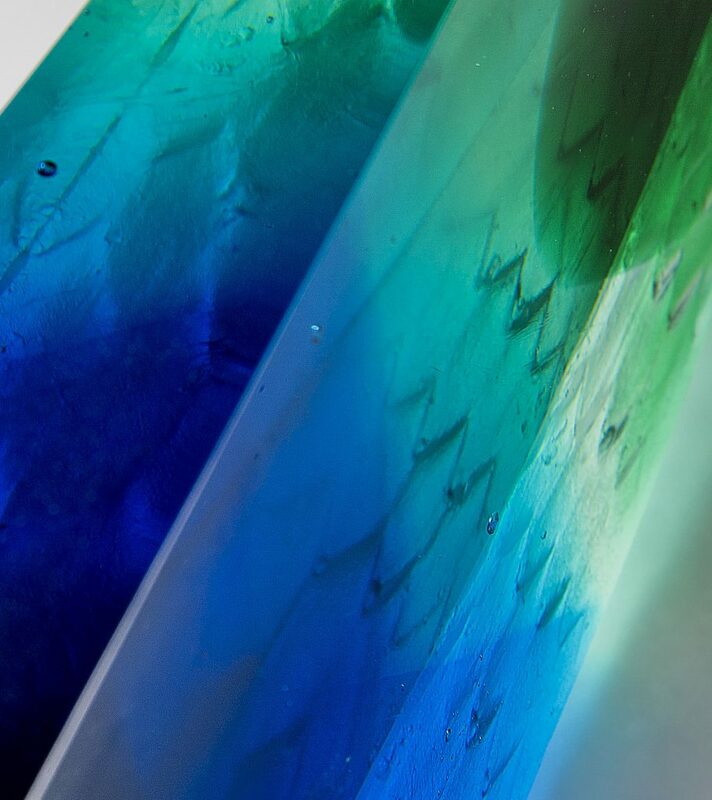 Working with solid shapes, using the colour combinations of glass and its refractive and reflective qualities, sometimes causes 'happy surprises', which can lead to the development of further pieces. "Nature and architecture fire my imagination and enable me to realise my designs in cast glass. The universe with supernovas, the sky with its clouds, sunsets and the sea with all its richness, all inspire me to create solid shapes filled with flowing living colour. My love of colour drives my passion for glass and all the pieces are individually created to stimulate the imagination, which I hope you will enjoy."